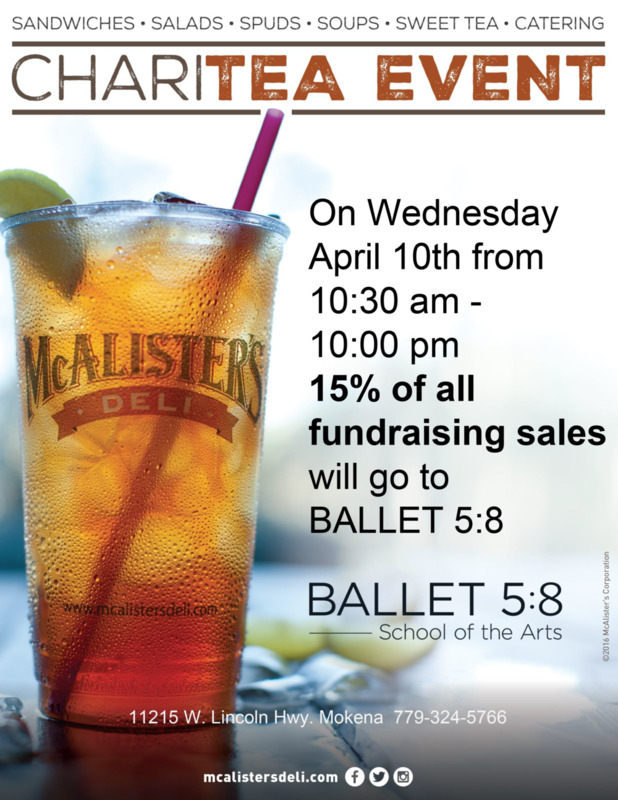 Support Ballet 5:8 School of the Arts at McAlister’s Mokena! You’re invited to attend our Fundraiser Day at McAlister’s on Lincoln Highway & Wolf Road on Wednesday, April 10 anytime between 10:30am and 10:00pm. When you mention Ballet 5:8 with your purchase, 15% of your purchase will be donated back to support our school! This is a fantastic way to hang out with other dancers and families from the School of the Arts will also supporting our mission. Friends are more than welcome too.